Vaidan Cross, the Seaflame. 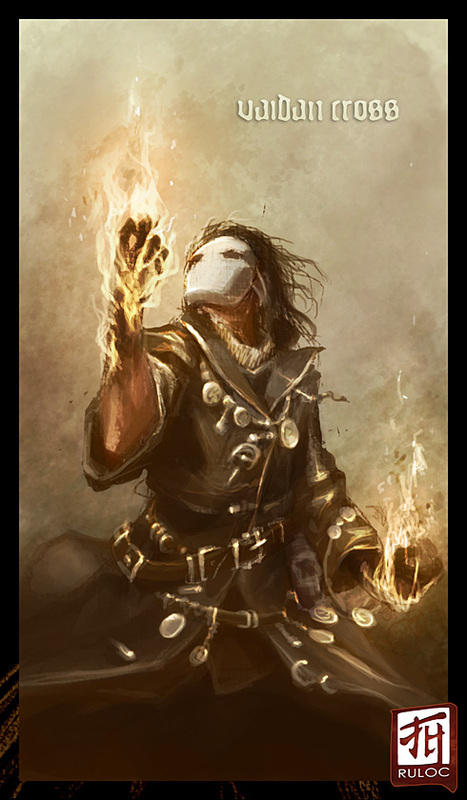 He is a human Pyromancer, and wears a porcelain mask over a burn-scarred face, with scraggly raven hair, a black coat jangling with pirate jewelry, and a slight hunch in his back. Kind of like a fire-obsessed Joker.